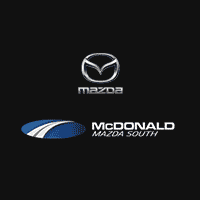 Taking excellent care of your vehicle is easy when you let our service experts here at McDonald Mazda use their experience and knowledge to provide your car with the maintenance and repairs it needs to run smoothly. To make caring for your vehicle even easier, we offer a variety of service specials to our customers near Littleton so you can give your ride the service it needs at a competitive price. Whether your vehicle needs an oil change, new tires, or another important service, you might find just the right special for the job here on this page. Our specials span a variety of services that we believe are the most beneficial so you can stress less about bringing your vehicle in for the expert care it needs to keep running smoothly. Your vehicle needs regular care to help it perform at its best whether it’s brand new or it has already seen many years and miles with you. That’s why we try to make servicing your vehicle as easy as possible. If your vehicle is due for service, take a few minutes to browse our service specials before you make your appointment to see how you could enjoy amazing savings! These offers rotate over time, so we encourage you to keep an eye on this page for more fantastic deals. If you want to know more about any of our specials, feel free to contact us. Ready to set up your service appointment? Schedule service online or get in touch with us at our Mazda dealership in Littleton for high-quality automotive service near Denver, Greenwood Village, Englewood, and Centennial, CO today!